Kim Jong Un just canceled his trip to Moscow: Why won’t he travel? Why Doesn’t Kim Jong-un Travel? There’s no place like home for Kim Jong-un. 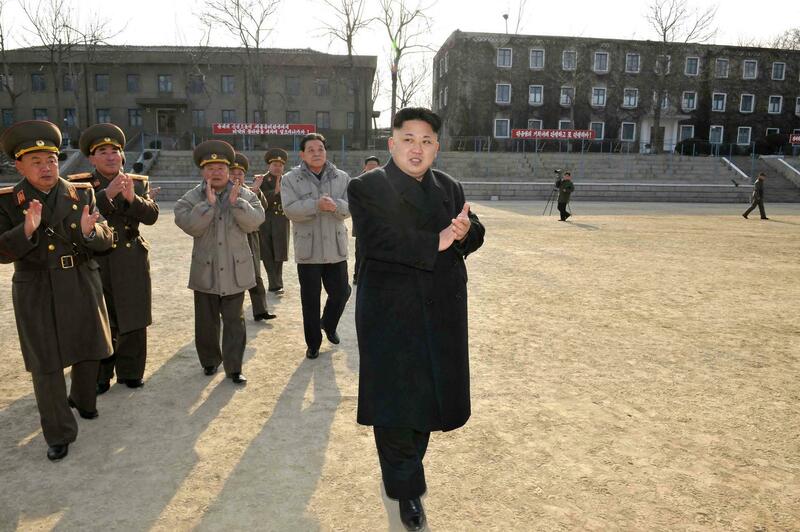 This undated picture released on Jan. 12, 2014, shows the North Korean leader inspecting the command of Korean People’s Army Unit 534. The Russian government announced Thursday that North Korean leader Kim Jong-un has canceled a planned trip to Moscow to attend a ceremony marking the 70th anniversary of the end of World War II. The trip had been highly anticipated, as it would have been the reclusive leader’s first travel abroad since he took power in 2011. There were rumors that he was planning a trip to China last year, but nothing ever came of it. Granted, the brutal dictator of a nuclear-armed hermit state isn’t exactly welcome everywhere, but as Vladimir Putin’s invitation shows, he does have some options. Even Omar al-Bashir, indicted for genocide by the International Criminal Court, manages to get out sometimes. Kim’s father’s travel was limited by his intense fear of flying, reportedly the result of a 1976 helicopter crash. But Kim Jong-il did manage to visit neighboring Russia and China several times in his luxurious armored train, including an epic, monthlong, transcontinental journey to Moscow in 2001. Kim Jong-un doesn’t appear to have the same phobia. As Shaun Walker of the Guardian notes, he has at least been photographed inside a private jet and even at the controls of a military aircraft. He has also likely been abroad before: He’s thought to have attended boarding school in Switzerland. So what gives? It’s possible Kim is worried about his security abroad or the potential for embarrassment in an environment the regime’s propagandists can’t completely control. Given the rumors of instability and infighting within Pyongyang’s ruling elite that emerged during his still unexplained six-week absence last year, it’s also possible he doesn’t want to give his subordinates a chance to try anything in his absence. But like most unexplained mysteries of the Kims’ rule, we probably won’t know for sure as long as they’re in power.